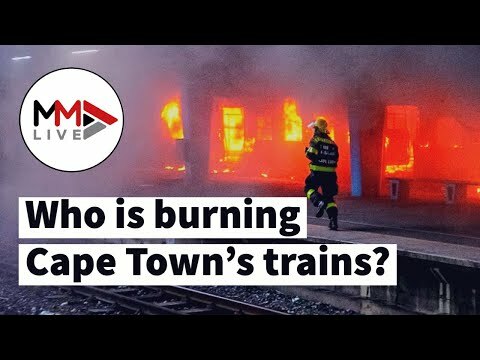 WATCH | Who's behind the six-year wave of Cape Town train fires? A bitter dispute between the Passenger Rail Agency of SA (Prasa) and two unions is believed to be behind most of the arson attacks that have destroyed 60% of commuter trains. However, this is not news to the parastatal, which has twice fired workers from its protection services department after they embarked on violent strikes that coincided with attacks on the rail network. In both cases, the dismissed workers were reinstated. No criminal complaints were laid, and even though 214 carriages have been set alight since 2013, no-one has been convicted of arson. At one point, Prasa argued in the Johannesburg labour court that "strikes by [our] employees are always accompanied by burning of trains". The statement was quoted in a judgment handed down in March 2016 after the dismissal of nearly 700 employees who joined a violent strike in 2013. The strike was organised by the National Transport Movement (NTM), a breakaway of the South African Transport and Allied Workers Union (Satawu). Hell and fury then engulfed Cape Town's Metrorail system, reducing what in 2015 was a fleet of more than 90 trains to 44 by October 2018. When the first pillar of black smoke billowed out of Cape Town central station in October 2015, Metrorail regional manager Richard Walker pointed fingers at staff who had embarked on an unprotected strike in pursuit of wage parity and insourcing. Walker publicly blamed "a small group of individuals in the union who have taken it upon themselves to further their own personal agenda". He fired the 83 strikers. But at the end of 2016, Prasa sent a delegation to Cape Town to facilitate a deal that reinstated the strikers - even though the Commission for Conciliation, Mediation & Arbitration is said to have ruled the dismissals fair. Walker confirmed the agreement but said he was not a signatory. Satawu general secretary Jack Mazibuko said the then group CEO Collins Letsoalo brought in a third party, advocate Vuyani Ngalwana, to finalise the matter. "Ngalwana listened to both parties and the outcome was binding," said Mazibuko. "The senior counsel issued a recommendation to Prasa. They informed us verbally to say the outcome was in your favour, your members must go back to work." Prasa group CEO Sibusiso Sithole, who took over eight months ago, told the Sunday Times he was "not privy" to Ngalwana's report. According to Mazibuko, the agreement was simple - reinstate the workers and give them three months' back pay. Prasa would then find a way to pay them the rest of the 10 months' salary they were owed. One of the strike leaders, Satawu shop steward Bulelani Ngxukumeshe, said he believed Prasa withheld Ngalwana's report because "it was clear that it was something that was against them. They don't want to share it with anyone." Several sources who spoke on condition of anonymity said the agreement - and the failure to investigate train fires - were an attempt by the Prasa board to win Satawu's favour and satisfy political interests. Sithole said from the current board's perspective there had never been an unwillingness to investigate the fires. "In fact, we have even gone further to approach the law enforcement agencies to help us in terms of understanding what is really happening," he said. "I can honestly say I was surprised that nothing at greater length and detail has been done about these matters, in spite of the fact that they have such an impact on the service and the credibility of the service we are offering." Mazibuko denied Satawu had orchestrated train fires in the Western Cape and pointed fingers back at Prasa. "The last train that was burnt last year, we physically went there and did our own assessments," he said. "How is it possible that you have deployed security officers there, you have surveillance cameras there, these trains keep being burnt but there is no-one who is apprehended? "We agree with NTM in the allegation … that part of the Prasa management are involved in this thing." NTM president Ephraim Mphahlele, who is a former president of Satawu, said he had evidence that Prasa management had burnt trains and conducted acts of sabotage in an attempt to discredit unions. "Prasa had been instructing protection services security guards to burn trains during the NTM strike and they were then accusing NTM members who were on strike of burning stations," said Mphahlele. Image: Anthony Molyneaux A fireman sprints along a platform at Cape Town's central railway station as a train burns. Arson attacks have reduced the size of the city's train fleet by more than half since 2015. To back up his claim he cited a civil dispute in which three Prasa security managers are suing a colleague for implicating them in giving instructions for staff to burn trains, damage infrastructure and even commit murder. The managers were the same people called as witnesses in the labour court dispute between NTM and Prasa, and testified that they heard Mphahlele address NTM members on the first day of the strike in January 2013 and incite them to burn trains. The civil case is still in progress and the complainants' lawyer, Tiro Ramantsi, said the respondent had not yet filed an affidavit. "No criminal charges have been instituted against any of our clients for damaging any Prasa property and we believe no grounds exist for such," he said. In the seven days after Mphahlele addressed workers, five trains were set alight, houses of non-striking members were petrol-bombed and railway infrastructure was sabotaged. But the NTM leader said it would be "stupid" for members to burn the tools of their trade. "The police investigated and they couldn't find a shred of evidence in respect of that," he said. NTM's dismissed members were reinstated early last year after a labour appeal court judgment ordered that the organisation provide back pay estimated at up to R2bn. "Our members are currently being paid on a month-to-month basis, but with regards to back payments they have not been paid yet," said Mphahlele. "We have since litigated against Prasa. We will ultimately attach their goods, and then get them to be sold off in an auction. We know what we are legally entitled to." During the legal battle over the dismissals, Gauteng Metrorail manager Thembela Khulu told the labour court there had been "a serious breakdown of trust" between Prasa and the strikers, resulting in the torching of eight trains and other sabotage and violence. She said this meant it would be hard for Prasa to reinstate them. Three former Prasa employees who spoke to the Sunday Times on condition of anonymity said managers were reluctant to act against those suspected of burning trains. They said that during the 2013 strike a police crime intelligence team infiltrated union meetings at which train fires and attacks on infrastructure were allegedly planned. But the investigation came to a halt after lead investigator Vusi Shongwe died in a car crash. The vehicle he was driving was one of three that Prasa rented for the investigators, and a source who was close to the investigation at the time said he suspected the car had been tampered with. • This article was produced independently by the Sunday Times newsroom as part of a year-long investigative journalism series with a strong multimedia focus. The series is supported by YouTube innovation funding awarded to TisoBlackstar Group by the Google News Initiative‚which aims to promote new ideas and strengthen newsrooms’ digital video skills around the world.